high quality fiber cutting knife (recommended for FTTH cold welding, hot melt connection is not recommended for the use of this paragraph). Simple operation; single core fiber for single mode or multimode cutting; 12 cutting end face; blade long life; adjust the peeling length is: 5~20mm; technical specifications: fiber size: 125um; skin diameter: 250~900um. Made of metal, not plastic, please rest assured to buy! 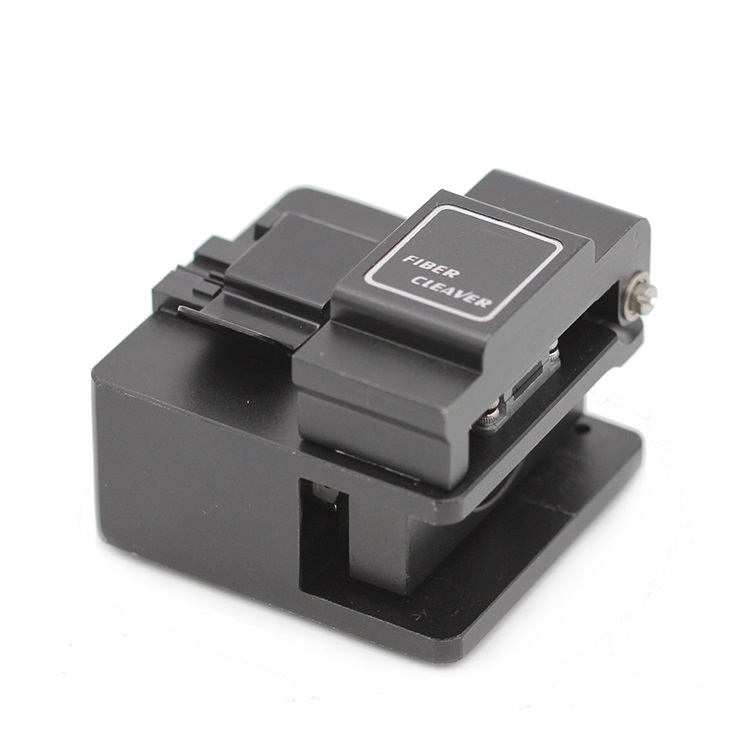 This FC-6S optical fiber cleaver is available with a single fiber adapter for 250 to 900 micron coated single fibers. It is a simple operation for the user to remove or install the single fiber adapter and alternate between mass and single fiber cleaving. 1. Item shipped in 3-15 working days after payment is received depends on the quantity of the order. 2. Item shipped by sea and air or UPS, FedEX, DHL and others, depending on size and weight of total order. Shenzhen New Vision Optical Communication Co., Ltd is one of the powerful and high-tech companies specialized in Optic fiber transmission, network communications equipment and the provision of fiber to the home (FTTH) products. All the products manufactured strictly carry out international and national relevant technical standards. ISO9001-2008 quality management system and ISO14001-2004 environment management system are implemented comprehensively. The products are widely used in telecommunication and electric power and optical fiber CATV and the transmission network of data optical fiber and optical fiber communication system and Security field of high-definition video. Our major products are Communications Fiber cable, Power Fiber cable, FTTH fiber cable and Mobile fiber Cable; optic media converter, digital video optical transmission systems and Optical Transceiver Modules; HD HDMI / SDI video optical transceiver , optical transceiver modules, Ethernet fiber optic transceivers and fiber optic accessories.